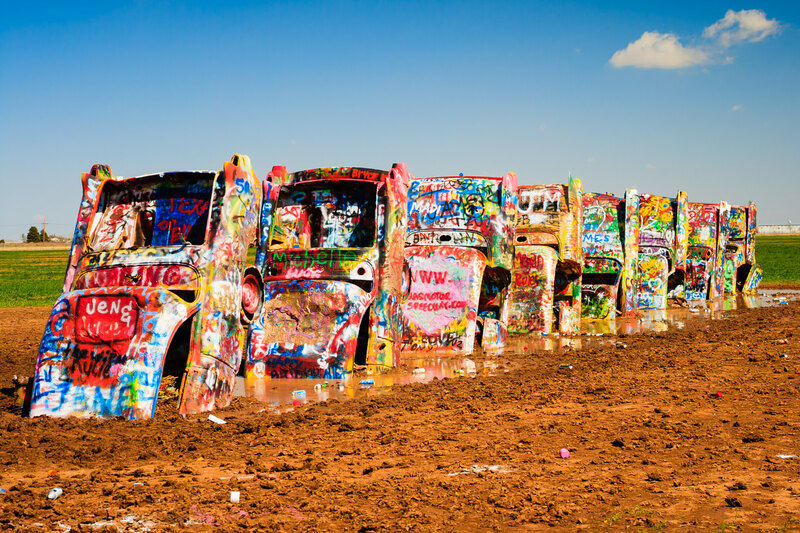 Just a few of the ten mid-Twentieth Century Cadillacs that make up Amarillo, Texas’ Cadillac Ranch art installation. 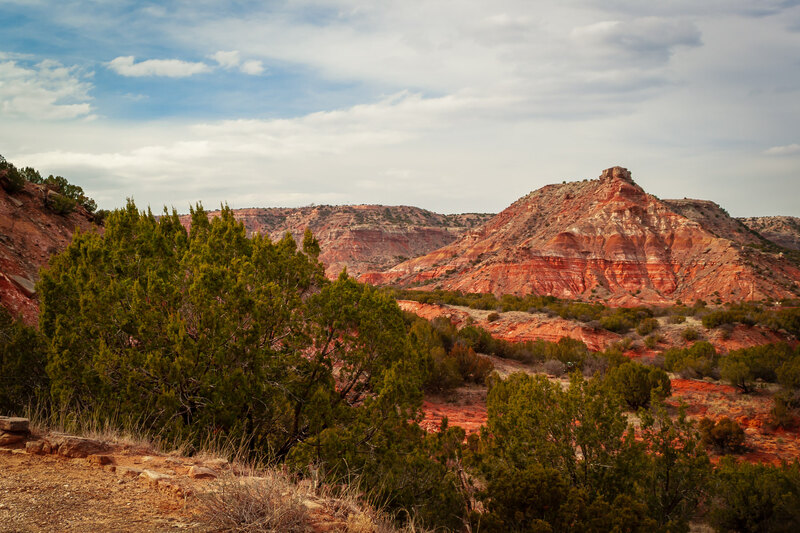 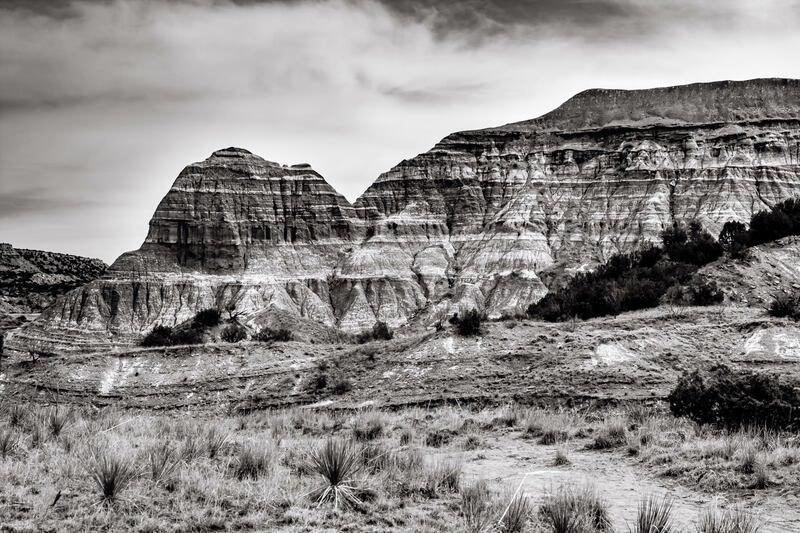 A rocky desert landscape at Palo Duro Canyon, Texas. 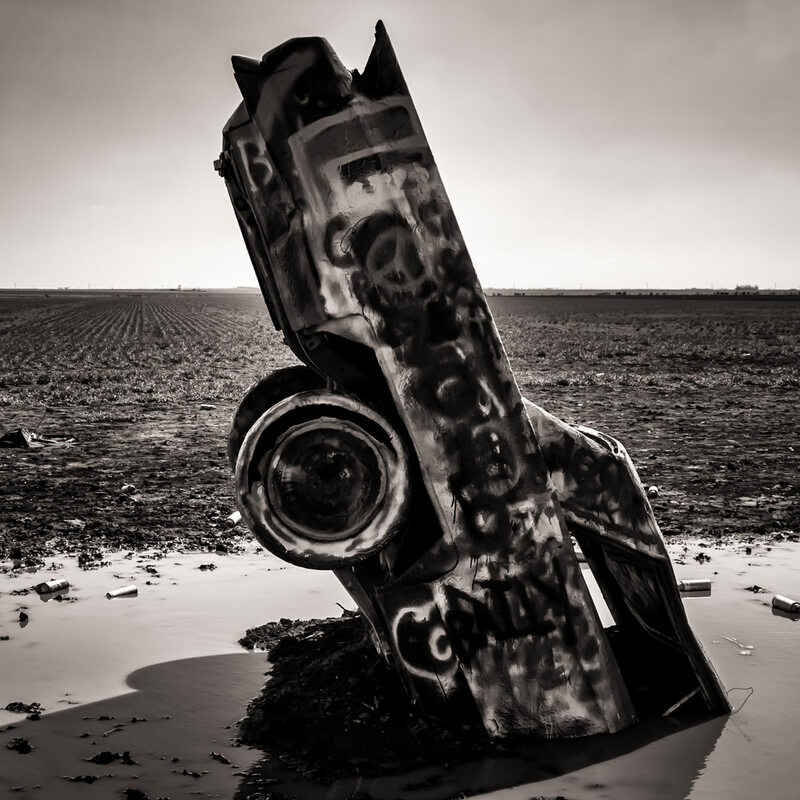 Eccentric Stanley Marsh 3‘s well-known Cadillac Ranch, near Amarillo, Texas. 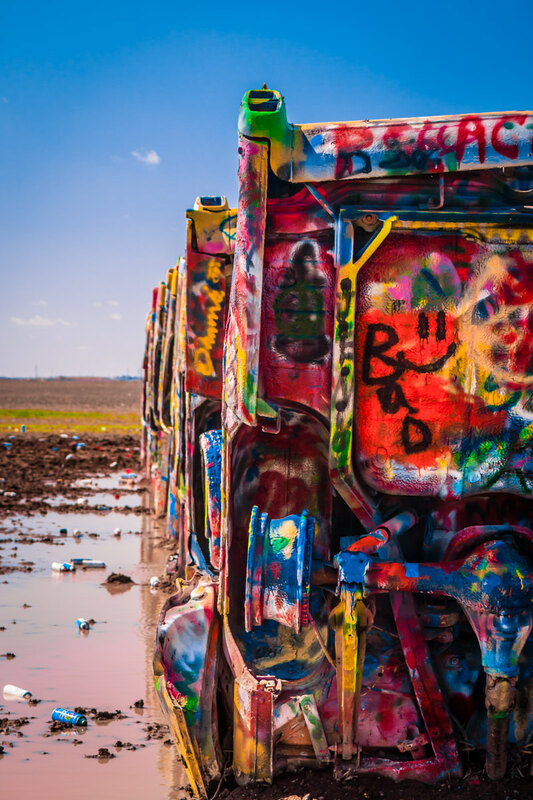 Detail of eccentric artist Stanley Marsh 3’s Cadillac Ranch, Amarillo, Texas. 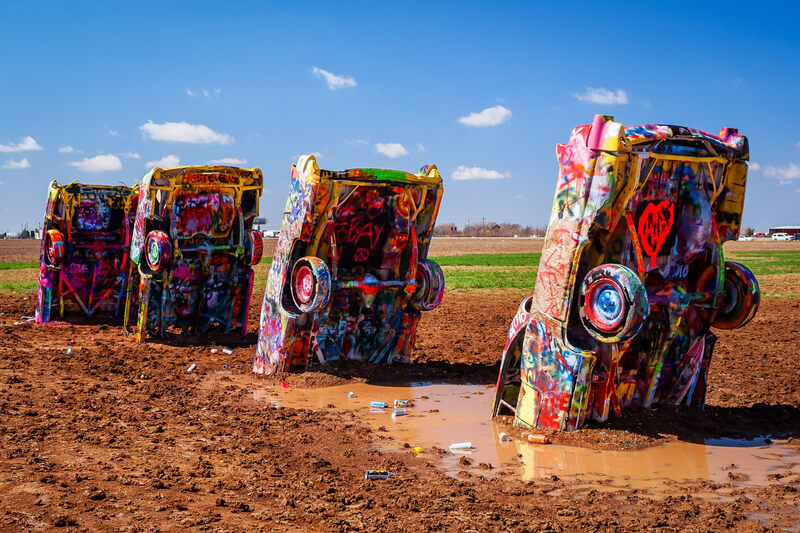 Cadillacs at Amarillo, Texas’ Cadillac Ranch, stuck nose-first in mud. 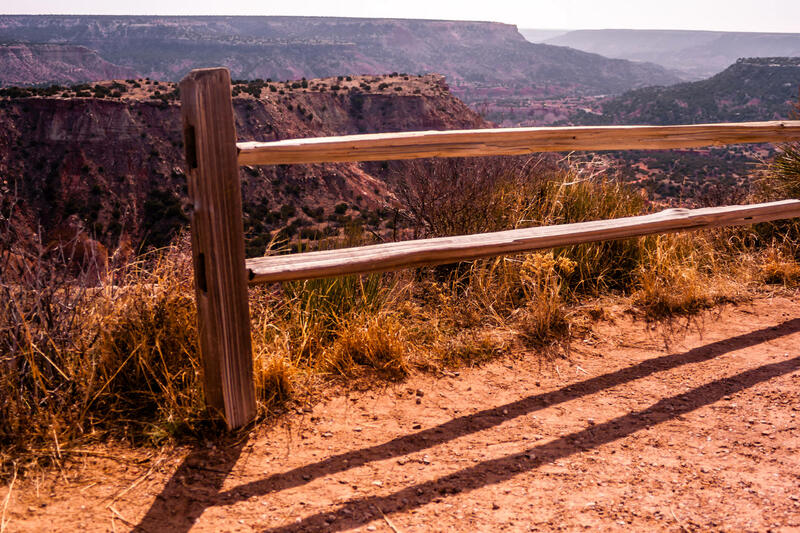 A fence at Palo Duro Canyon State Park, Texas. 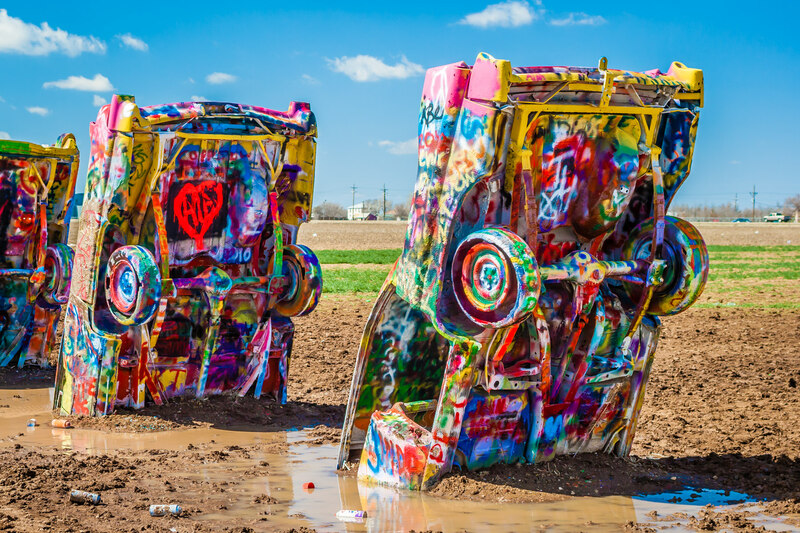 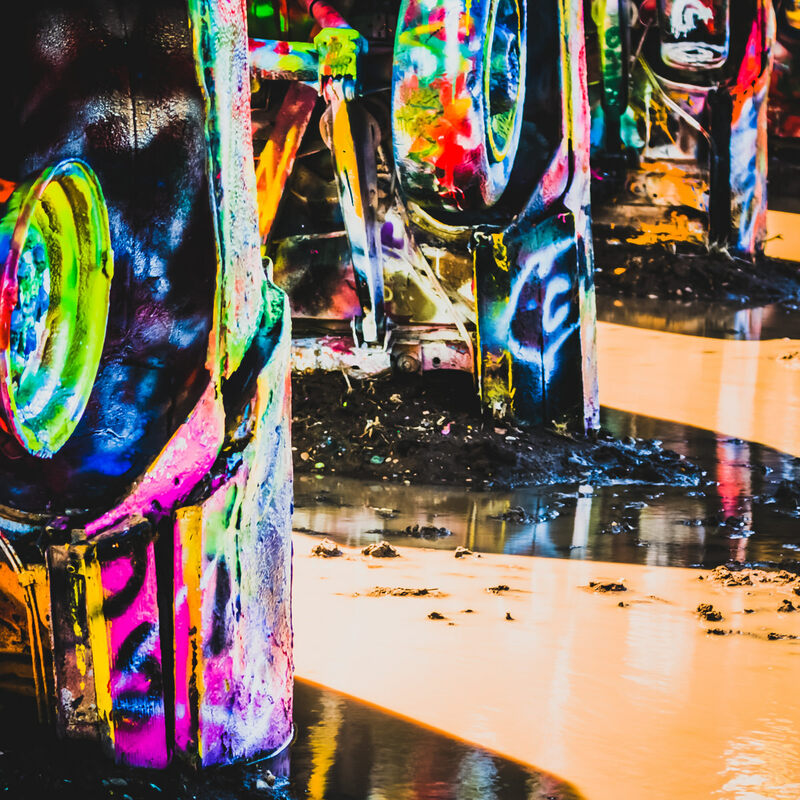 Four of the graffitied cars at Cadillac Ranch, Amarillo, Texas. 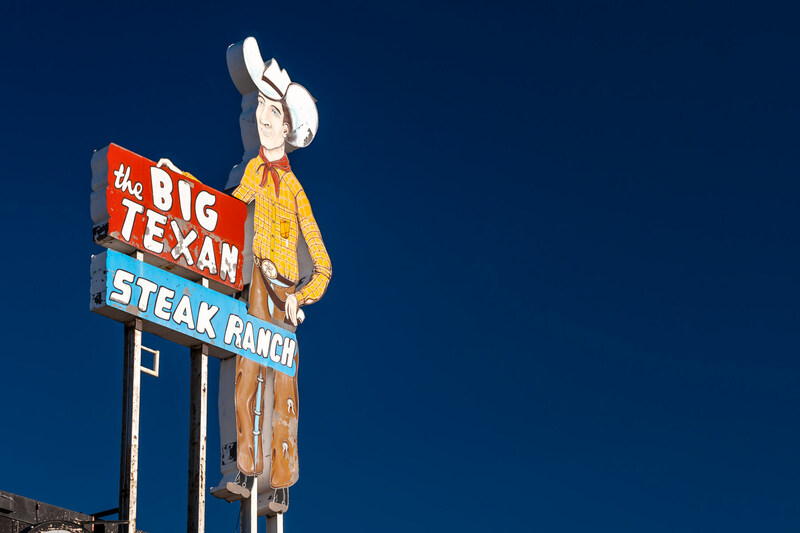 The sign of Amarillo, Texas’ legendary Big Texan Steak Ranch rises into the clear, blue sky of the Texas Panhandle.